Broccoli, cabbage, and cauliflower – These are cruciferous vegetables, the most widely recommended food group to eat to protect against cancer. Carrots – Orange colored vegetables are believed to help against many types of cancer. Kale – Dark greens like kale and spinach are key to cancer and disease protection. If you use spinach, stir it in just at the end when the soup is done. Tomato – Red tomatoes are a must for anyone concerned about prostate cancer. They are a good source of lycopene, especially prepared and canned tomatoes (even ketchup and tomato sauce or paste) but they need a little fat to be absorbed, so that’s why you must include the olive oil. I use canned tomatoes because canned are a better source of lycopene than fresh. Garlic & Onion – They both have strong anti-inflammatory properties and it’s believed they can help slow down the growth of cancer cells. 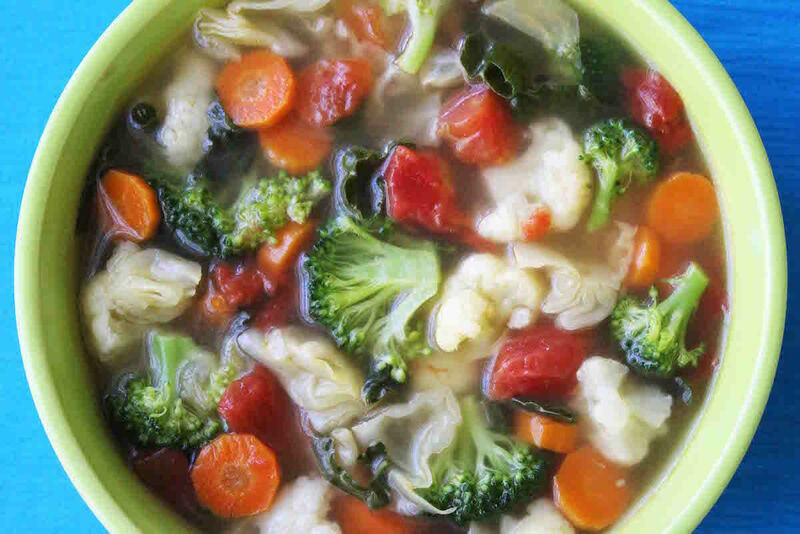 8 Comments on "Cancer Fighting Soup"
Your ‘cancer-fighting soup’ was just sent to a dear friend … it looks and sounds delicious! Soup is my comfort food. I found a Polish food vendor at an outside street ‘faire’ and was in heaven eating – although the cool evening air makes the food get cold too fast. Some of your foods were made by my mom who was born in Lithuania – and she spoke many languages, including Polish. Once she stopped keeping kosher there was a larger base of foods we could eat. She loved pigs feet — and my brother and I loved bacon. 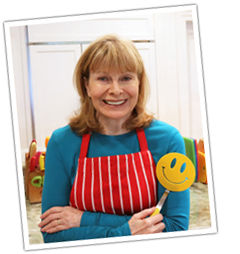 Hi jenny – thank you for taking the time to publish this recipe! I am fighting cancer and need all the help I can get. Can you use frozen vegetables. My husband was just diagnose with lung cancer, also he can’t eat vinegar. It takes his breath away. Is there any other dressing that is good for him? They say that frozen vegetables are very nutritious because they are frozen quickly after harvest. If the frozen ones are already cooked, they would only have to be heated in the soup. For salad dressing, you might try the classic olive oil and lemon juice, which is high in vitamin C.
Not only is this soup healthy, but it looks delicious! Looks like a great meal to make at home.